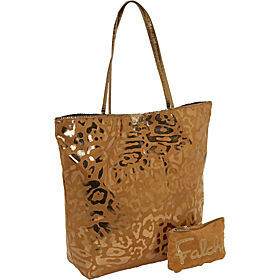 Carlos Falchi has an unrivaled place in the world of luxury handbags. He is committed to staying true to his distinctive way of designing . Nothing looks or feels like a beautiful handbag by Carlos Felchi. His formidable talent has kept him relevant and competitive for over thirty seven years. Industry recognition of his talent spans from a 1983 Coty Award to CFDA award nominations in 2004 and 2006. His designs have always influenced the market from 1980 when Women’s Wear Daily declared his Buffalo Satchel “the most copied bag in the industry” until today when he designs accessories to compliment the runway creations of clothing designers such as Donna Karan, Catherine Malandrino, Vera Wang, Ralph Rucci and Bill Blass. His many loyal customers are as diverse as his talent, and have included such fashion icons as Jacqueline Kennedy Onassis, Sharon Stone, Nancy Reagan, Jessica Simpson, Ann Bancroft, Tina Turner, Cate Blanchette, Mary J Blythe and Tina Fey.